The winner of the Rimington Trophy is selected by determining the consensus All-American center pick from three existing All-America teams. The center with the most first team votes will be determined the winner. If there is a tie with first team votes, then the center with the most second team votes will win. 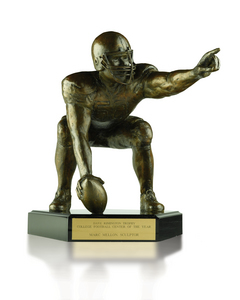 If there is still a tie, the winner will be determined by a majority vote from the Rimington Trophy committee.